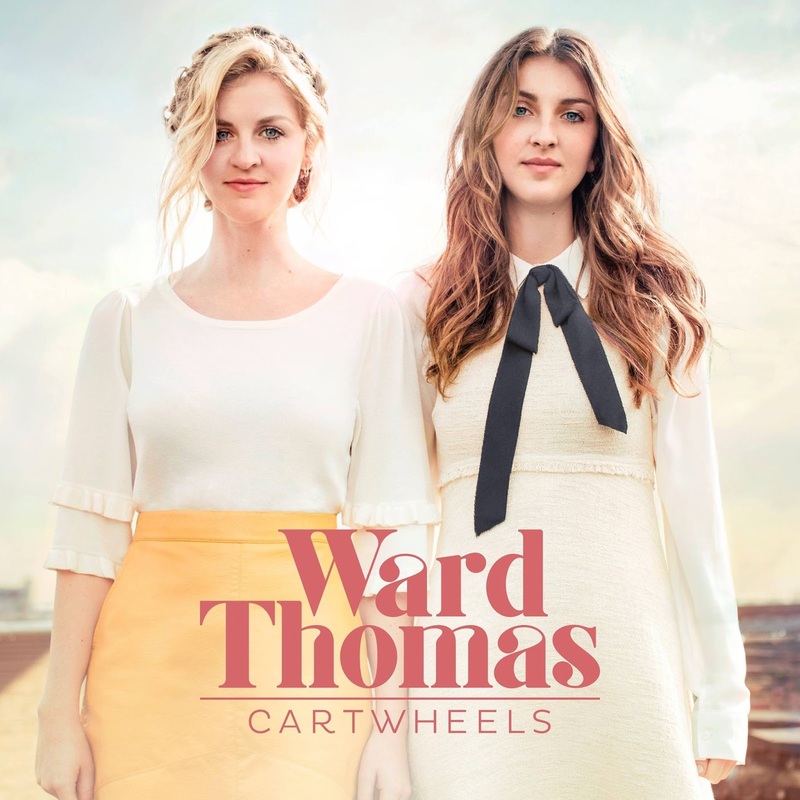 Ward Thomas have been all over the radio waves recently, as the sisters' country-pop fused release Cartwheels has been highly-anticipated. Their debut From Where We Stand won Album of The Year at the British Country Music Awards and if Cartwheels is anything to go by, then they certainly deserve all their success. These twins have taken Nashville by storm and this is no more in evidence than with opener 'Carry You Home', a song Carrie Underwood might have released on Blown Away, but with more reassuring and optimistic vocals, matching the message that they'll "be there when it all goes wrong" - I'd certainly give them a call, like the song says to do. 'Material' has more of the bones of a modern day country song - slow percussion and then a somewhat explosive chorus with both girls in perfect harmony. It'll be all over the Country radio stations and might even be a single, even so I'd choose it over Taylor Swift's "country" sound anyday. 'Safe' is where they really show off their prowess and singing ability, as just a guitar backs up their flawless vocals and the message of the song is quite heavy as they chant "you're not what to happened to you", but is reflected with the upmost respect and almost concern, as if they're your friends and are looking out for you. Cartwheels is going to big in the Country world and I hope it stretches beyond that. It's a joy to listen, with excitement beaming across my face as one of the songs pops into my headphones when I shuffle my iTunes. Well done ladies, you've done yourselves proud there with an absolute corker of an album. If you like the sound of what I'm hearing, then check out Cartwheels on iTunes, Spotify and Amazon (UK | US). Follow Ward Thomas on Twitter, Facebook and Instagram to see what they're up to, as well as checking out their tour dates. Follow me on Twitter for more updates from me. *PR samples were sent. All opinions are my own.